It's no secret we're mad for Mini Moderns here at DS. 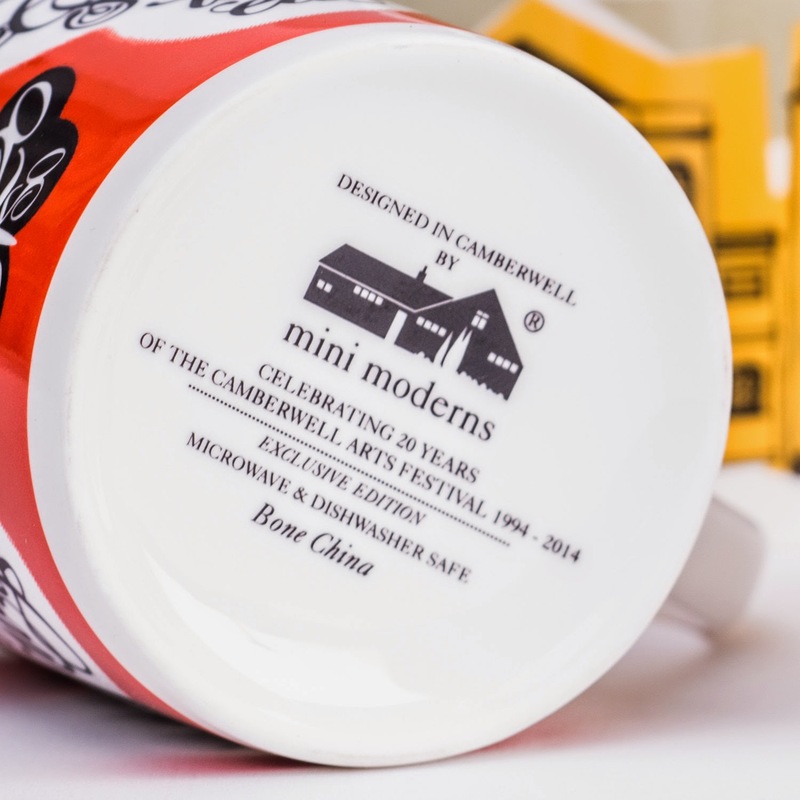 Their new range of beautiful bone china mugs for this year's Camberwell Arts Festival in south London has just about knocked us off our collective swoon perch, particularly me, for lo! I LIVE in Camberwell. As do the Moderns boys, hence why they've designed these stunning tea holders. 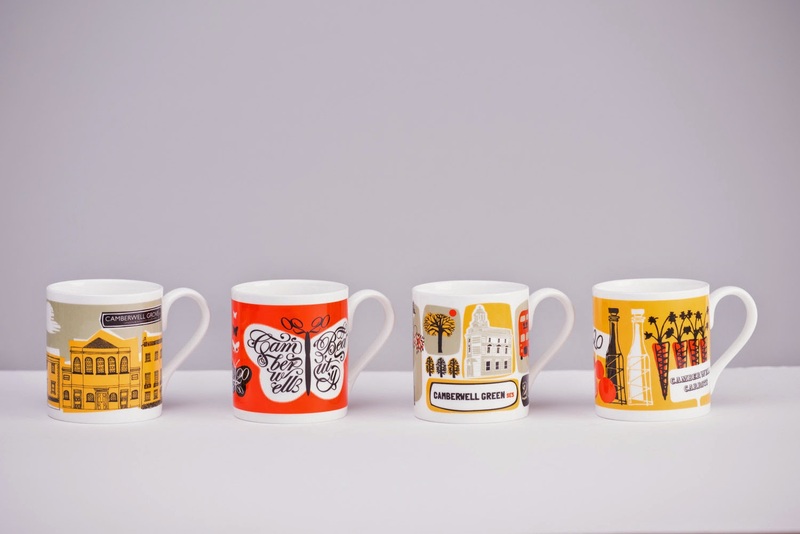 Each mug is £12 or you can order the set for £40 at the CAF Etsy store. Guess what I did! Now, excuse my smugness for a moment because the first batch of mugs have now completely sold out. HOWEVER, a second batch is due to arrive closer to the festival, so consider this your warning. 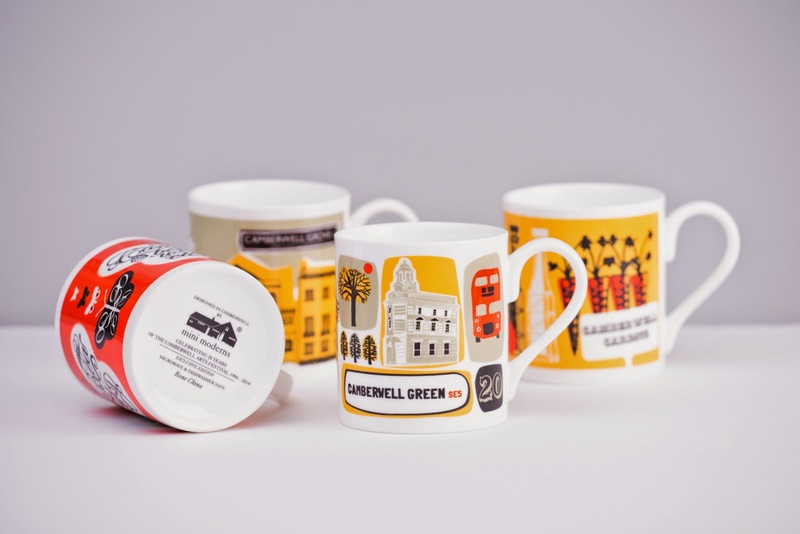 You can follow Camberwell Arts Festival on Twitter to find out when and to buy all the mugs for yourself. 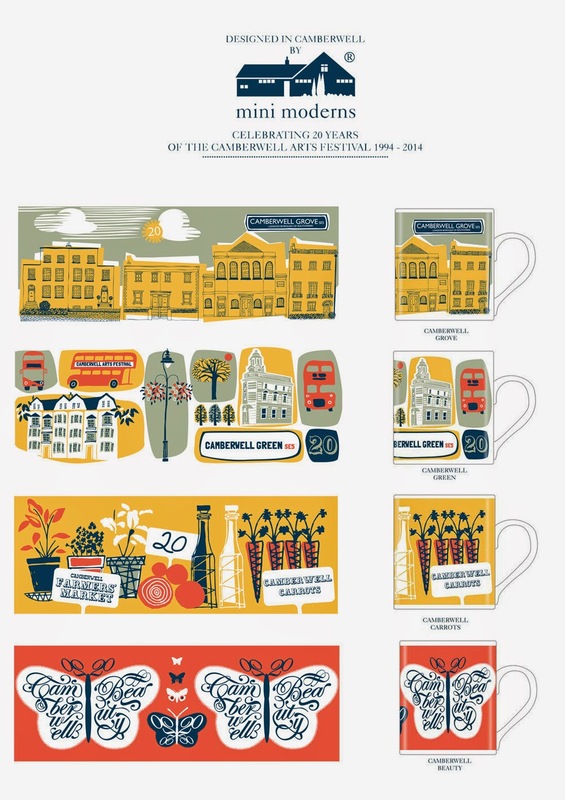 Anyway, each mug is made of bone china (china for your 20th anniversary you see, no flies on this lot) and has a different emblem of Camberwell on it. There's the Camberwell Beauty (a lovely butterfly discovered on Coldharbour Lane in the 19th century); Camberwell Green, home to markets, concerts, playgrounds, and laid-back tramps; Camberwell Grove, aka that gorgeous Georgian street you probably saw on the Beeb a while back (literally FURIOUS that I wasn't an architect in the 60s as that's apparently the only way you got or get your hands on one) and, of course, the most famous: the Camberwell Carrot. Except for legality's sake, they're actual carrots promoting the farmers market that takes place on the Green each Saturday. Check out the full designs in all their glory. Swoon. Even if you don't live in Camberwell, these really are Mini Moderns and their most gloriously fun.